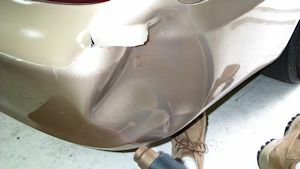 Many times when a bumper is damaged, it can be repaired while it is still on the car. This Camry bumper is a perfect example. 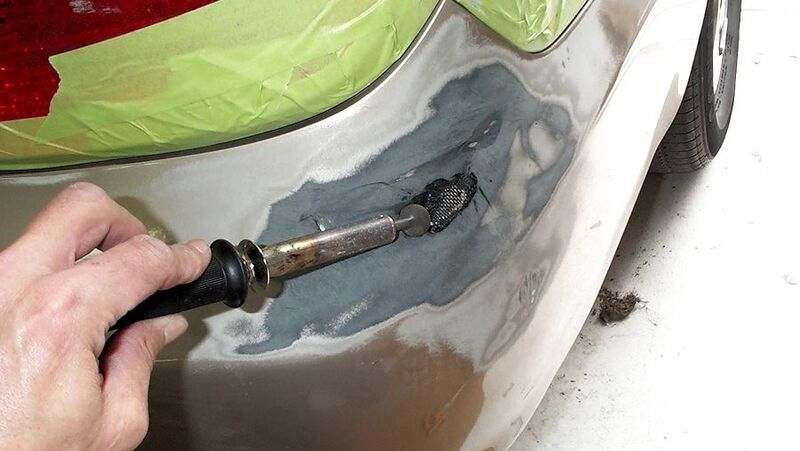 The first step is to get as much of the dent out as possible. 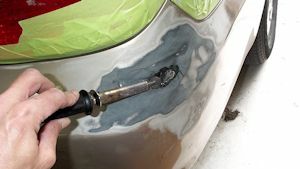 We used a heat gun to soften the plastic so that it can be pushed out from underneath. 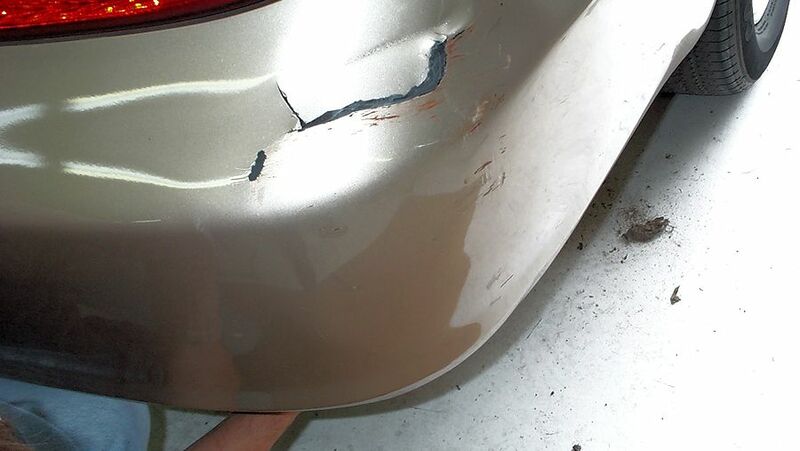 Pushing out the dent makes the repair much easier. The next step will be to align the cracked bumper as much as possible. The damaged area was sanded to remove paint from the damaged area and to increase adhesion when the primer is applied. 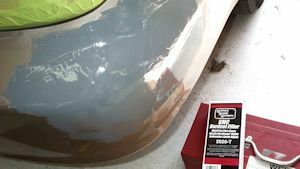 Masking tape was applied to the taillight to prevent damage while sanding. We ground a "channel" along the crack line and buried some mesh into the plastic. 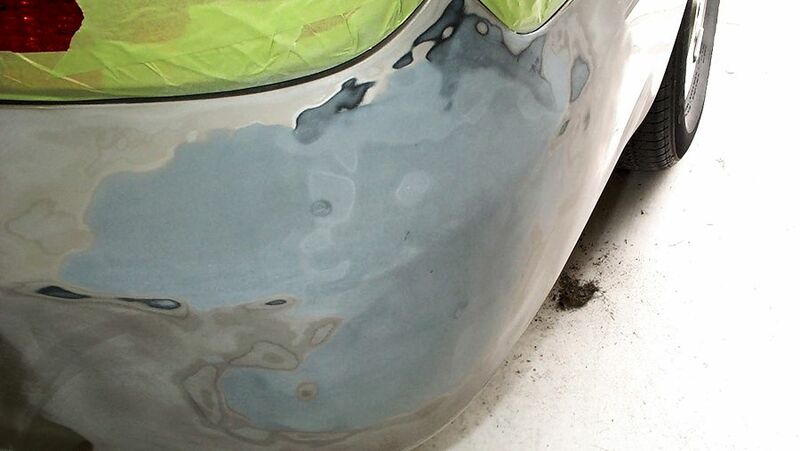 The mesh was buried deep enough so that it will be below the surface level when the repair is finished out. 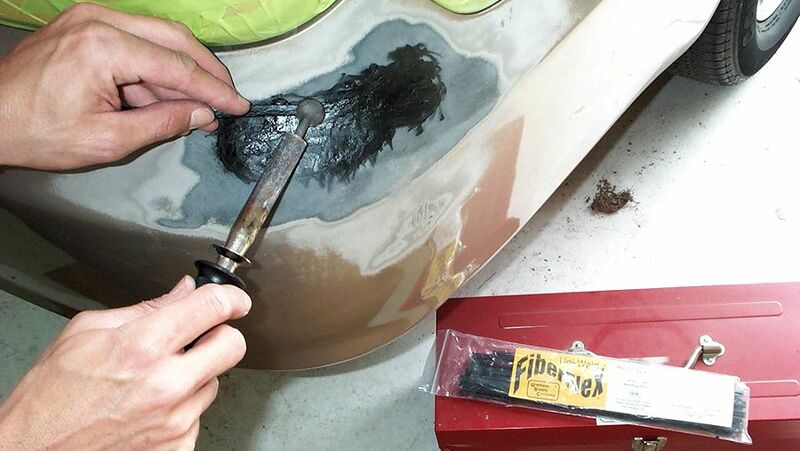 FiberFlex was used to fill in the remainder of the "channel". 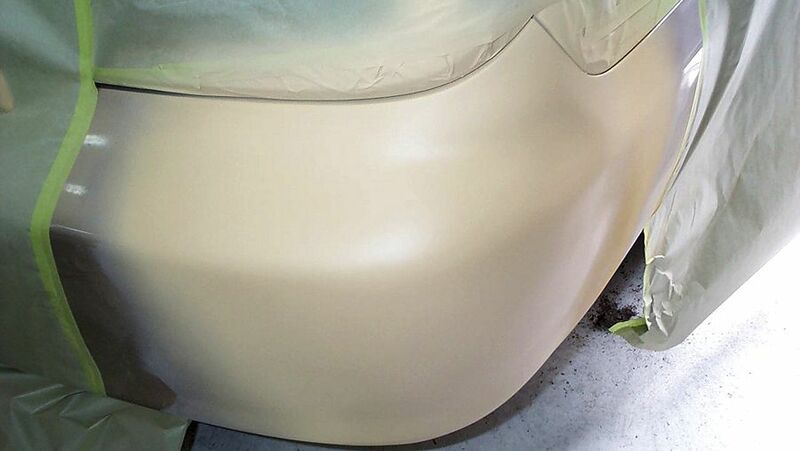 After sanding and contouring the FiberFlex, we applied a coat of 2020 SMC Hardset Filler to fill in low spots. The nice thing about 2020 SMC Hardset filler is that it sands so nice. 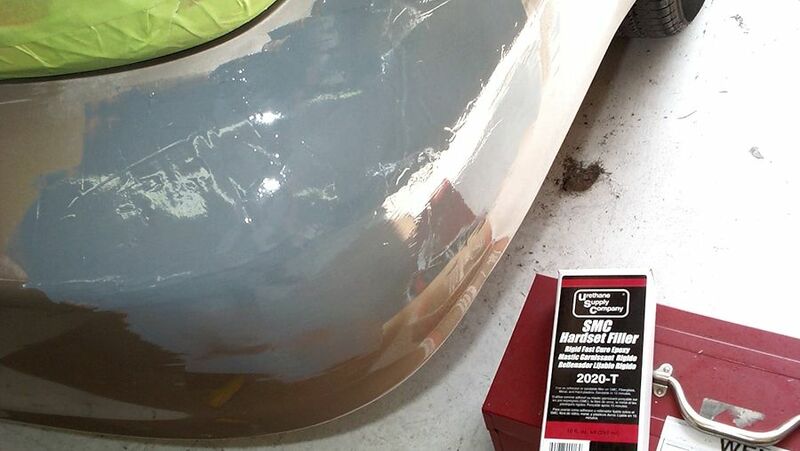 Finish sanding the 2020 SMC Hardset Filler and get it smooth enough to prime. Primer was applied and now it is ready to paint. All of this was accomplished without removing the bumper cover.